The Oppo A77 is official. Oppo made the announcement over on its Taiwanese website and will open up pre-orders in Taiwan starting May 19. The A77 packs much better specs compared to its predecessor with a 5.5" screen of a higher 1920x1080px resolution, a larger 3,200mAh battery, an octa-core 1.5GHz MediaTek MT6750T chipset and more RAM - 4GB. There's a hybrid SIM slot housing either two SIMs or a SIM and a microSD card. The two cameras on the Oppo A77 are a 13MP f/2.2 snapper on the back with phase detect autofocus and a dual LED flash and a 16MP f/2.0 selfie camera with Beauty 4.0 and Portrait Mode. 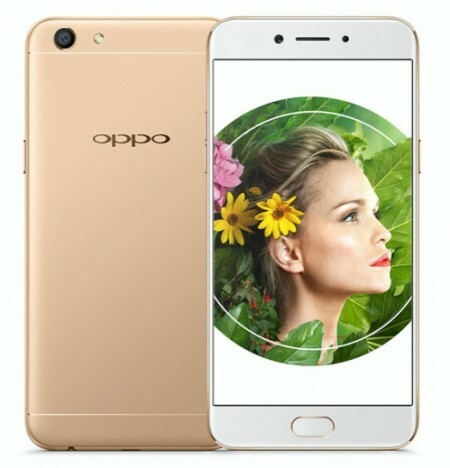 The Oppo A77 comes in a metal body accented by Gold and Rose Gold color options. The Oppo A77 will cost NTD 10,990 (~ €330/£280/$365/RS23,500) and will go on pre-order in Taiwan on May 19 with availability starting on May 26. In Q1 2017, BBK Electronics(Oppo, OnePlus and Vivo) shipped 56.7 million smartphones surpassing both Apple and Huawei to become the 2nd largest smartphone manufacturer in the world, just behind Samsung. Another all the way selfies phone, good news for all the fans/enthusiasts of selfies.